THE HAGUE, Netherlands – The International Criminal Court issued an . He is the first sitting head of state the court has ordered arrested. 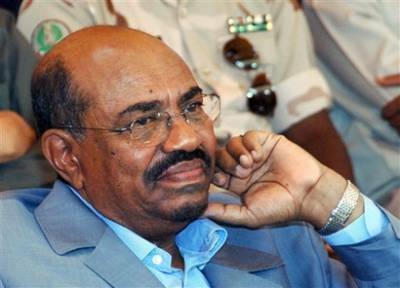 Sudan does not recognize the court’s jurisdiction and refuses to arrest suspects. Sudanese TV did not carry the Hague news conference, but at one point broke in to programming with a brief news report that the warrant had been issued. The broadcaster on state radio announced the decision, and added, “a new chapter now begins” but did not elaborate. In Khartoum, security was increased around many embassies, and some diplomats and aid workers stayed home Wednesday amid fears of retaliation against Westerners before the court’s announcement. The ruling party announced that it plans a “million man march” in Khartoum on Thursday to protest any warrant. “In this particular case, the pretrial chamber has not been able to find there were reasonable grounds to establish a genocidal intent,” she said.